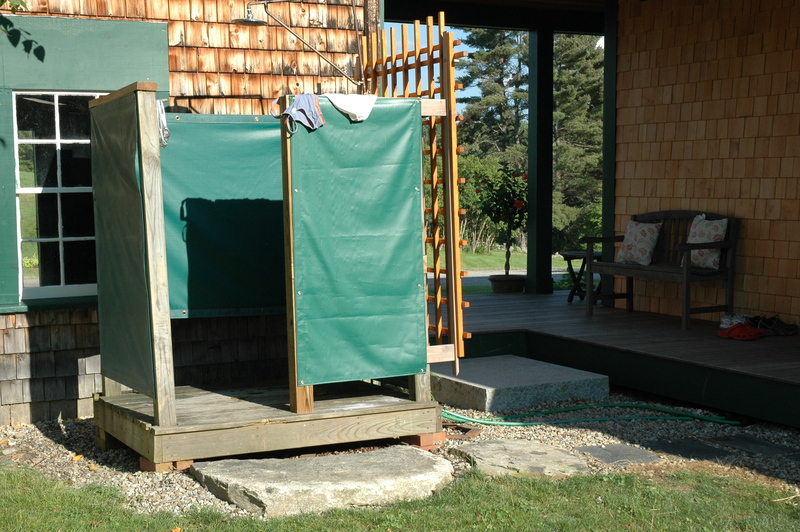 Out East everyone seems to have an outdoor shower off their deck or in their backyard. 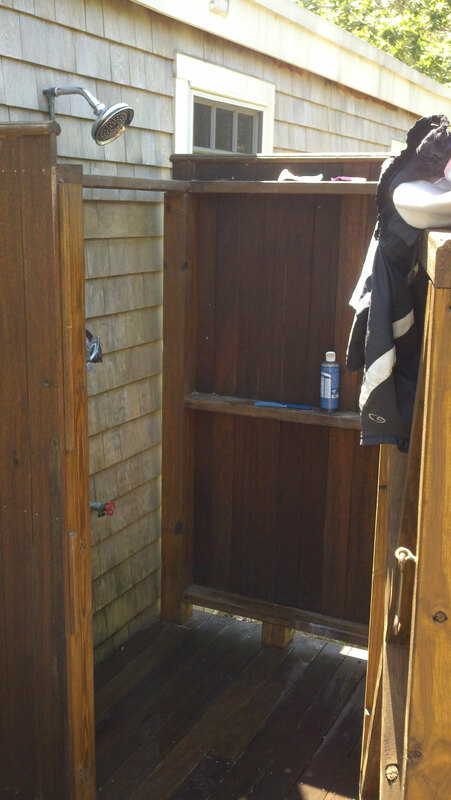 I’ve come to enjoy showering outdoors on a sunny day, listening to the birds and just being outside. It’s nice after swimming or going for an early morning run- and you don’t have to wait in line for the bathroom! Other than being a pleasant outdoor experience it also makes some sense- keeping water and mess outside while infiltrating water back into the soil. 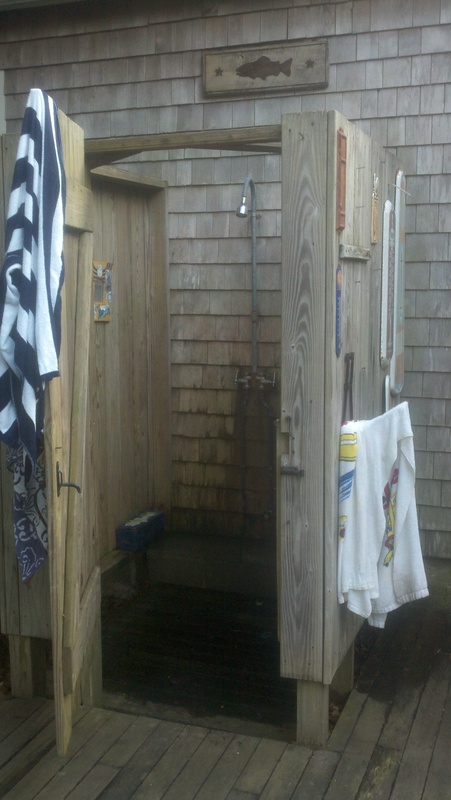 Here are a some examples of showers I photographed in New Hampshire and Martha’s Vineyard.